The 5th MEWT Peer Conference took place on the 9th April with the by now to-be-expected excellent cast of talks, discussions and presentations. Please find them all listed below – in order of presentation on the day, along with links to blogposts, slides etc where they were used and have been made available. I don’t give a flying expletive deleted about Professional Testers. Don’t get me wrong: I care deeply about testing – the insight it gives me is critical. But I can’t help wondering, so long as I have professional (adjective) testING, do I need testERS at all, let alone professional (noun) ones? So testers, consider me a potential customer. Pick up the challenge and justify yourselves, and justify why you might want to claim to be a profession. The oldest profession in the world. We all know what it is, don’t we? Except that until the late 19th century the now common understanding had not been established, and there were a number of professions that potentially laid claim to that title – farmers, cattle drovers, horticulturalists, engineers, landscape gardeners the military, doctors, nurses, teachers,priests and even lawyers. But when we mention the ‘oldest profession in the world’ most people will now assume a knowledge of the profession that is involved. And so it is with “professional testing”. Mention “professional testing” and many familiar with software development will have assumptions around what is involved. In my early career professional testing was defined as ‘having ISEB certification’, nowadays there are different expectations that cover broader areas, but can be just as restricted in their criteria. I believe that the number of roles that can lay claim to undertake ‘professional testing’ as an activity is far wider than is included in the assumptions of many. As well as a huge variety of roles with the moniker of tester – web testers, mobile testers, hardware and embedded software testers, test software developers, database testers, performance testers and penetration testers to name a few, there are also many other roles that don’t include the word “test” in their title yet still have a professional responsibility for testing implicit in their role, such as developers, product owners, technical support, business project owners and often even contractually some customers. All of these will be involved in testing in a professional capacity, and so must therefore be undertaking ‘professional testing’. In this talk I will look at the assumptions that may come with a tag of ‘professional testing’, what those assumptions look like and how they differ from the people doing professional testing that I’ve encountered. I’ll then go on to discuss some of the roles that could lay claim to the title of ‘professional tester’ and how the role of testing fits in with their profession. I’ll raise some questions for discussion around how the various individuals involved in testing as part of their profession might benefit from identifying the testing elements to their roles, and how those folks who are called testers might end up being more professional themselves through helping others to be more professional in their testing. James Thomas – What is What Is Professional Testing? In this talk I’ll use the MEWT topic as a lens through which to view itself and our instincts about it, asking what we think a professional tester (whatever that is) might do when presented with the MEWT 5 brief. I’ll explore areas such as inconsistencies, ambiguities and underspecification in the brief, the relationship between the tester and stakeholders (the MEWT content owner for the purpose of this exercise), and the uncertainty that’s always present in any project that requires novel work. As I do this, I’ll try to tease out a set of “reasonable expectations” for a professional tester and then test them in turn against a broader context. James has written a couple of posts about the event: The notes for his talk here, and his further thoughts on the events of the day here. 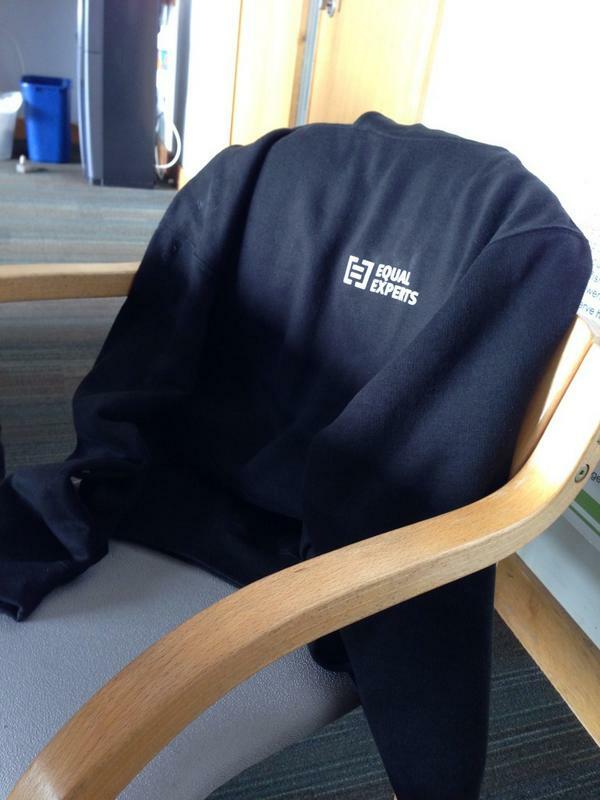 I’ve gathered a collection of thoughts from devs, stakeholders and recruiters on who we are and what we do. Being awesome generates the good feedback, but it isn’t enough to fix the bad stuff that pervades our industry. We do that with what we teach others which they take on to their next role, making better testing viral. One model for looking at a person’s skills is the T shaped model. This is the idea that someone will have a breadth of knowledge in their field, but then a depth of knowledge in one particular area. To me, the breadth piece is as necessary as the depth to define a professional outlook. How would you feel if you fell and possibly broke your arm, and the doctor near by said they could not help because they are a cardiologist, not an Orthopaedic. Now you would expect to need a specialist to be able to perform any necessary surgery, but you would hope the near by doctor could at least know what steps must be taken and how to mitigate the current situation. To bring this back to MEWT and software testing, I think that to be software professional, we cannot segregate into “technical” and “non-technical” testers. Let’s talk about a “full stack” tester as a possible definition of a professional tester. Abby’s thoughts are soon to be published on James Thomas’ blog as a guest post. Watch here for further news. In one of my favourite books, The Art of War, Steven Pressfield states that being a professional is all about showing up, doing your work and not letting adversity defeat you. Being a professional requires you to overcome your vices so that you can sit down and produce the best work possible. Being a software tester is about a whole lot more than just testing. If you want to be a better tester-a better anything really-you need to focus on the entire person not just one or two areas of your life. It is about career, mind, body and spirit if you believe in such things. Being a professional tester requires even more commitments that focus on forming good habits of time management and well prepared at all time, setting goals and planning, standing your ground and sticking to your principles. Professional tester should have the ability to walk away from situations when lower quality standards are forced upon them. That means they are expected to be not only consistent but also quality and self-improvement seekers, making correct choices in both technically and ethnically and playing to their strengths and improving weaknesses. I will briefly discuss them with examples where appropriate to convince that being a professional tester is no freaking accident. It requires commitment, dedication and continuous learning. Doug’s thoughts on the day can be found here. I have always believed that the job that you do has nothing to do with how professional you are in that job. For me, professionalism is a set of core values or beliefs that are internal and specific to each individual person. I currently find myself as the sole tester working within a feature team but also with the added pressure of being a remote worker. My previous experiences have given me an excellent set of core values that has enabled me to be an effective remote employee and a highly motivated, focused and disciplined individual. I have kept these with me since leaving the forces and conduct my daily testing, aligned to these values. My talk will be a brief look back on the last 10 years of my life, touching on the key areas where I have applied these professional values during my very short testing career and how these have shaped the direction of where I want to be. Also slated to speak but unable to in the end due to a family emergency. Mike’s abstract is below and he has written up the content of his proposed talk here. Having been freelance for over a decade I’d like to discuss the perception of professional testers and how the term professional is perceived by the not only the different hierarchical levels within companies but how its perceived by peers and colleagues within those companies, on many of my engagements I’ve surprised people when they learn that I’m ‘a contractor’ and that I’m not ‘a permanent member of staff’ because I don’t have the ‘contractor attitude’, what exactly is the contractor attitude and how is that perceived differently from professionalism? Also in attendance – Bill Matthews [organising], Vernon Richards [facilitating] & Simon Knight [content owner]. Many thanks to our kind sponsors, The Association for Software Testing. This entry was posted in Uncategorized on April 18, 2016 by Simon Knight. A professional is a member of a profession or any person who earns their living from a specified activity. Hmm. So what’s a profession then? That’s all settled then, right? Wrong. 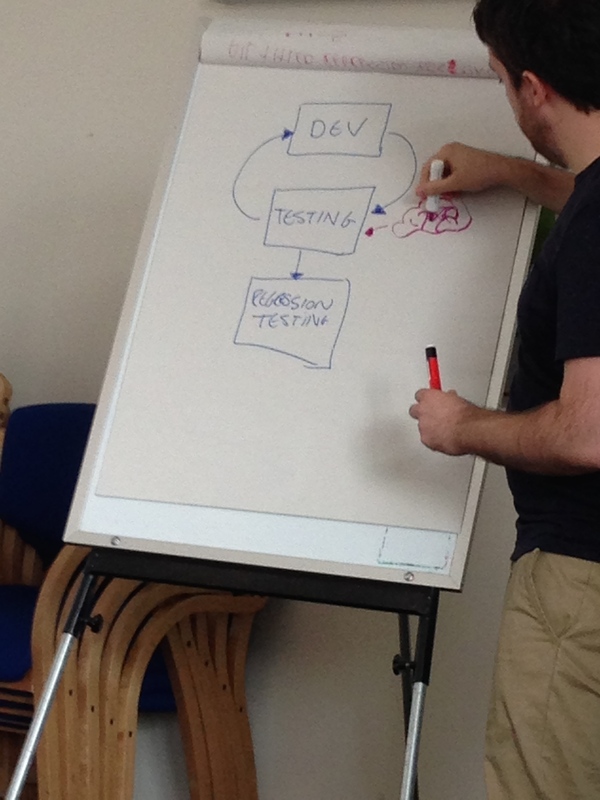 Because in MEWT 5 we’ll be asking – what exactly does it mean to be a Professional Tester? And, since I already cited the quotes above. You won’t be allowed to. In fact, we’ll expect you to delve deep and reach far and wide into the many and varied facets of what it means to demonstrate professionalism in the face of a rapidly changing technological and sociological landscape. 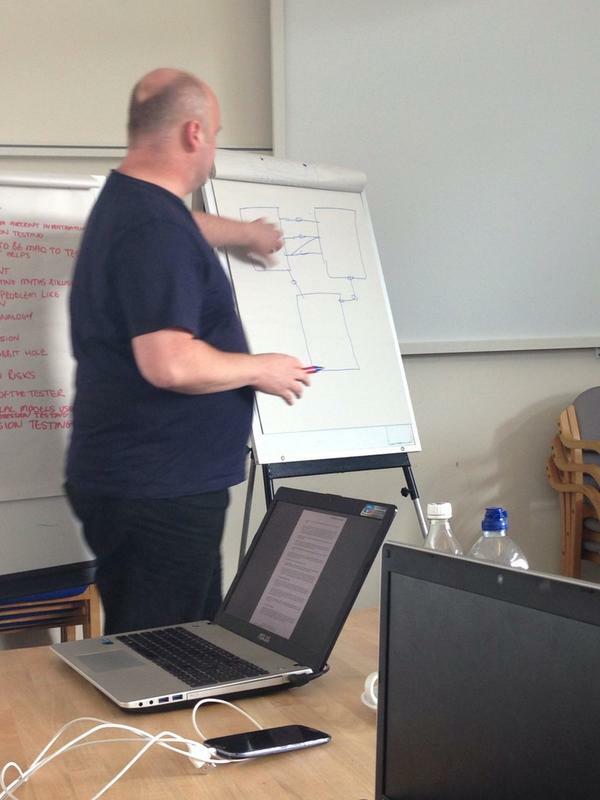 Engagement with and use of a body of testing knowledge, tools, models, approaches and heuristics. Invites have been sent, but if you’re interested in attending – please contact the organisers (Bill, Richard, Vernon or myself) and we’ll be happy to try to accommodate you. If you’ve already received an invite, please send your abstract (title, brief outline, bullet-point summary of talk) to me by the 27th March, and we look forward to engaging with you and your specialist subject area on the day. This entry was posted in Uncategorized on February 6, 2016 by Simon Knight. 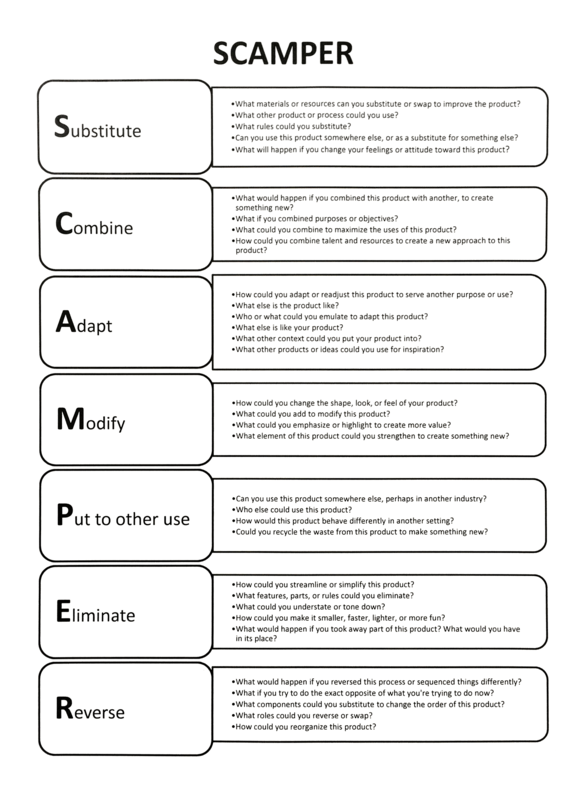 This entry was posted in Event and tagged resources on April 26, 2015 by Simon Knight. 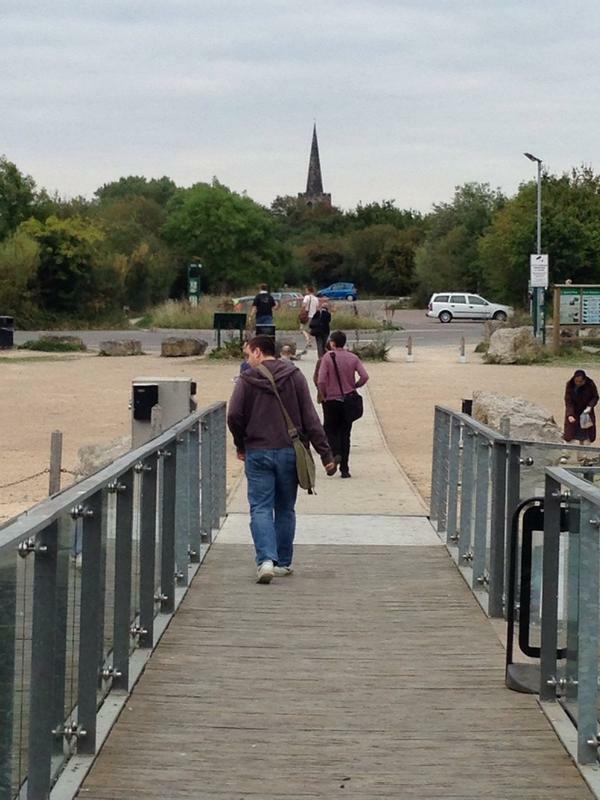 On Saturday 18th April, the MEWT 3 invitees will disrupt the convene at the tranquil, and picturesque Attenborough Nature Centre, Nottingham to discuss Software Testing and Communication Skills. Anna Baik Credibilty Whatever communication we receive, the source always affects how we evaluate it. As testers, our credibility affects how people receive the information we provide. If we aren’t credible, then nobody will listen to us. It also affects how we evaluate the information we get. Let’s not kid ourselves, we are not infallible beings just because we are aware of the possibility of bias. That doesn’t make us unbiased, and we’re stupid if we think we are “above all that”. We make judgements, and some of them are wrong, and a lot of those judgements we’re entirely unaware of even making. I think this raises the following points for discussion: How do you work effectively as a provider of information in an environment where *what you are* immediately puts you into negative figures in terms of “credibility points”? How do you get the information heard? How do you work around problems even getting access to information you need – “you don’t need to know that”? How do you not go crazy? And whatever your frustrations at being misjudged by people who don’t understand what you do or how you do it – aren’t you doing the same every day? Can you even build credibility with people who have such strong preconceptions about your capabilities that they can’t even let themselves see any evidence to the contrary? Christopher Chant Lessons learned from customer services The experiences and techniques developed during my career in sales and customer service and how they can be applied to software development. Most jobs require a great deal of communication and collaboration and software development is no different. It’s common in Sales and customer service jobs for employees to receive training in effectively communicating to satisfy both the customer’s and company’s needs but isn’t the case in software development. The increase in the number of distributed development teams makes developing these skills even more important. I’d like to share some of the lessons learned from a career which started by trying to provide excellent customer service in challenging circumstances and has equipped me with the skills to prosper in collocated and distributed teams. Ranjit Shringarpure My experiments with communications In this talk I discuss the outcome of an experiment I deliberately set or to study the impact of the different ways n which I communicated with the different teams on the current project; and how it impacted me, my team, them or anyone around us. In particular my focus was limited to the ‘Daft’ idea of Information richness theory combined with Berne’s theory of Transaction Analysis. Richard Bradshaw The Negative One My brief experience report will be on a discussion I had with a current colleague, where I attacked an idea of theirs having just heard it. In return, they labelled me Negative, not the first time this has happened. I will share my reflection on this discussion and subsequent learning, to ensure that I don’t take the same approach again. How it’s important to pay attention to far more than the idea its self, such as the person, the problem there idea is trying to solve and what is the problem with just letting it go? What are the golden rules of improvisation? How might they be useful when working with project teams? Explore and experience them for yourself in this short talk. Also attending but not speaking – Stephen Blower, Neil McCarthy, Christian Legget. Proudly sponsored by Equal Experts. This entry was posted in Uncategorized on April 13, 2015 by Simon Knight. The second MEWT peer conference took place on the 13th September and, yes I’m biased but still – it rocked! A big thank-you is in order to Equal Experts for sponsoring the event, Richard Bradshaw for sourcing the venue and taking care of most of the organisational detail, and Bill Matthews for facilitating on the day. 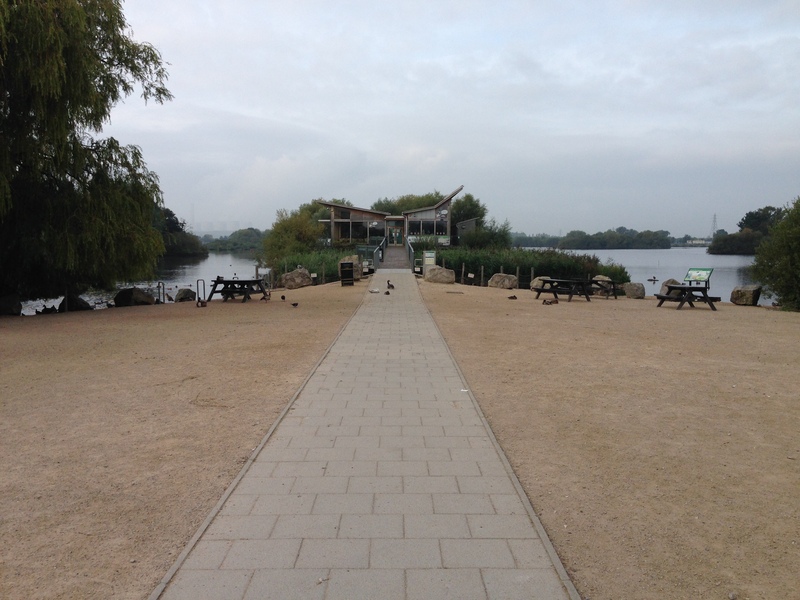 My day started pretty early with a drive to the Attenborough Nature Centre in Nottingham. As a co-organiser of the event, I had good feeling about the idea of holding the conference in a nature reserve since it seemed to me to provide exactly the right kind of atmosphere for something entirely voluntary, but with quite a high bar in terms of the kind of professionalism and content we expected from the participants. I was not disappointed. With a general buzz of activity as folk continued to arrive, people set about unpacking their various electronics and note taking implements. By about 9am more or less everyone had arrived, so it was time to submit our talks for the day and vote in which order we wanted to hear them. Once done, and after a quick bacon-roll break, we made a start. 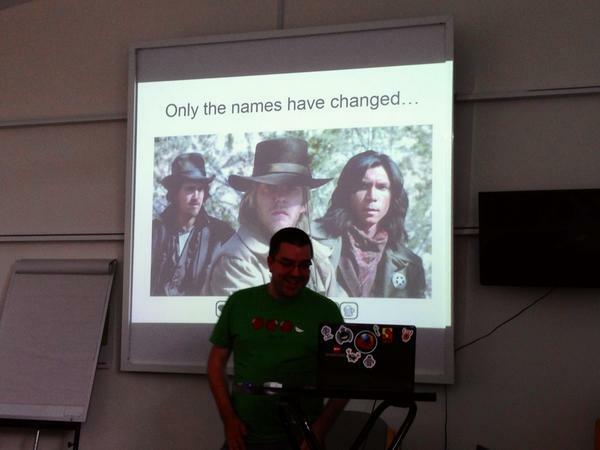 Somehow, my talk [Simon Knight – @sjpknight] had made it to the top of the list. Probably something to do with the bombastic nature of the title – Lessons Learned in Root Cause Analysis, From Air Crash Investigations! The intent of the talk was simply to make the point that regression failures are often symptoms of some other issue and that as testers, we should feel comfortable with carrying out an investigation into what the underlying problem might be and taking the necessary steps to either get it resolved or communicate persuasively with people who matter in order to get it dealt with. My slides can be found here if you want to find out more. After me came Timothy Munn, aka @NottsMunster with Regression Testing – You Don’t Have to be Mad to Work Here, But it Helps! He made some great some great points about regression testing basically being an opportunity to improve and expand our knowledge about our products, but that the idea of regression testing (doing the same thing over and over again) was basically a road to madness, per the well known Einstein quote. 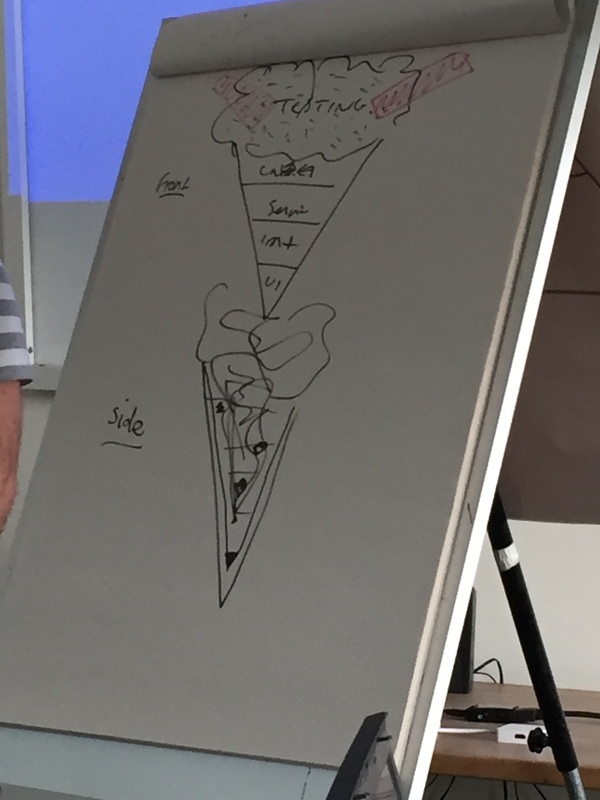 Richard Bradshaw was up next with his Regression Testing – Rant, presenting flip-chart models of how he sees regression testing work [on agile teams] currently, and how he thinks it should work. 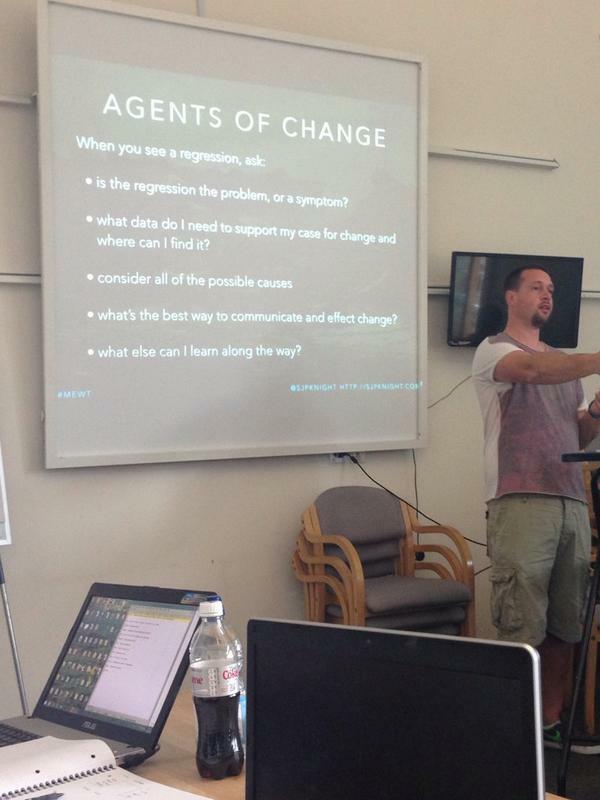 One of the main things Richard tried to convey with his talk was the fact that when we actually carry out our regression testing, what we learn is likely to undermine the results of our previous testing, suggesting instead that the focus of our testing should be detecting and investigating change. Up next was Stephen Blower, from up North where bugs are apparently made of steel. His talk, Myths & Illusions of Software Testing focused on common misconceptions about what Regression Testing actually is. Stephen set the bar high with his research efforts, supplying quotes from his current team and project along with further answers from a recent, public Skype chat about the same topic. 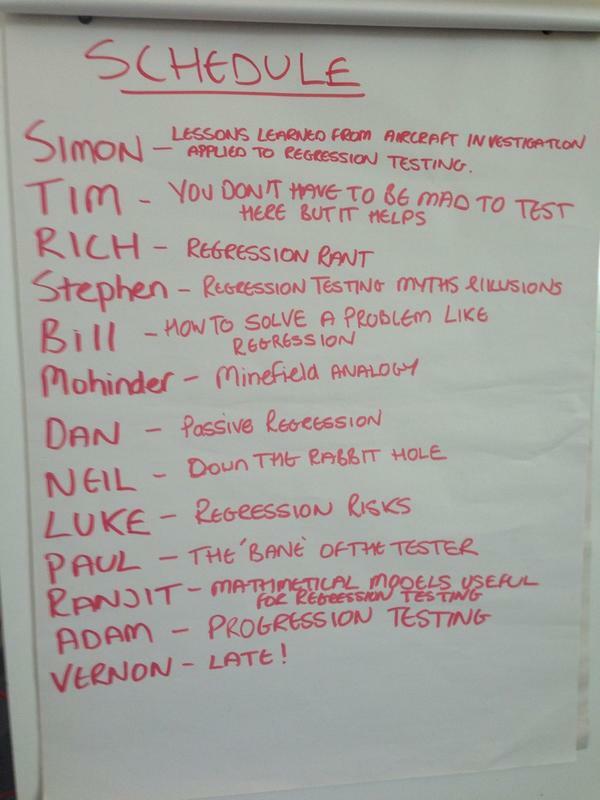 The final pre-lunch talk was from Bill Matthews, who fed our minds (if not our rumbling stomachs) with his assertion that we should “test for regressions” instead of carrying out regression testing in his presentation, How Do You Solve a Problem Like Regression Testing? Did I say thanks to Equal Experts already? 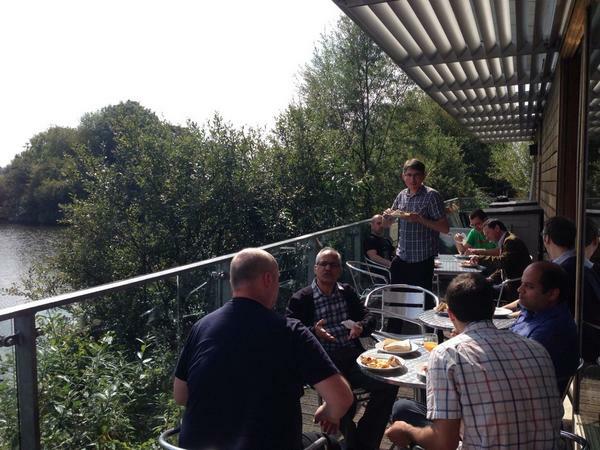 At lunchtime, lashings of ginger beer, sandwiches and cake were enjoyed on the balcony, courtesy of our sponsors and our hosts, the Attenborough Nature Centre. Well ok, not the ginger beer. But it was a great lunch! 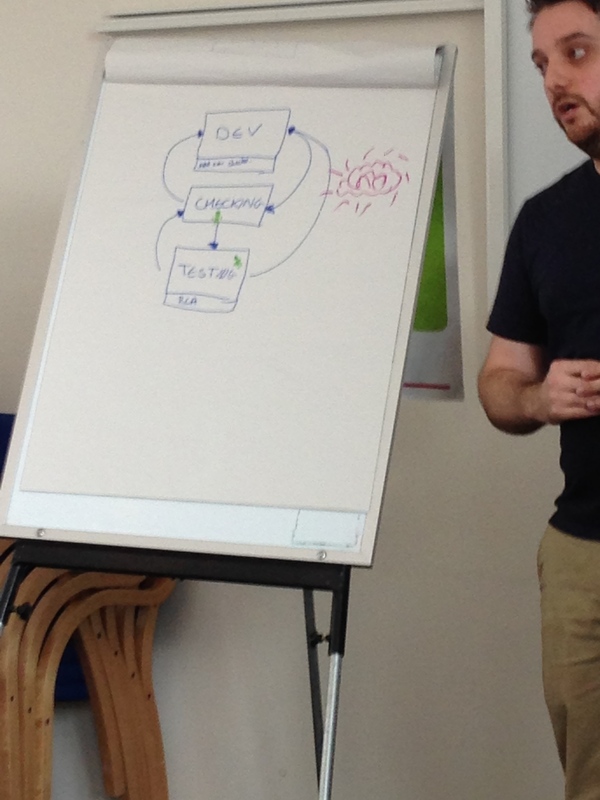 The premise of Dan’s talk was that his organisation has had to take a pragmatic, risk-based approach to regression testing due to the insurmountable mountain of technical debt facing him when he arrived as the first tester on the scene. After some consideration arriving at the view that what needed to be done was… Nothing. The penultimate talk was delivered by first time MEWTer and budding testing speaker Ranjit Shringarpure [@ranjitsh]. 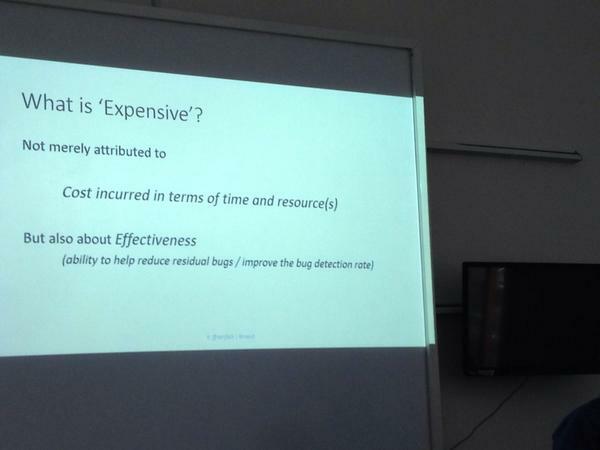 His investigation – Mathematical Models for Regression Testing: Would They Help (in Making Regression Testing Cost Effective) – was one of the standout talks of the day for me and provided plenty of material for further investigation into how regression testing might be made cheaper and more effective. [Edit] Ranjit’s slides can now be found here. 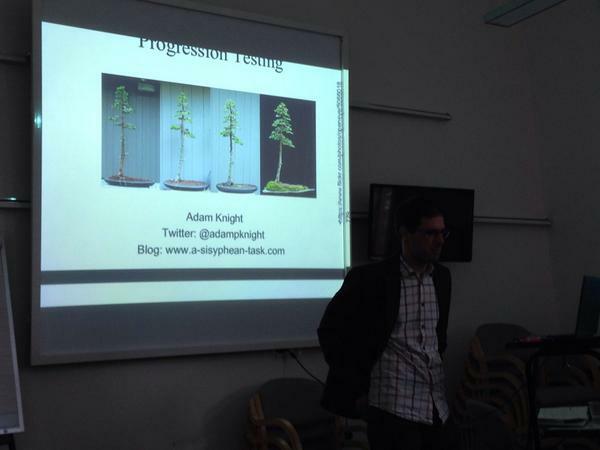 Finally we had Adam Knight [@adampknight] talk to us about why “lack of progression is a regression” in his presentation Progression Testing. Again this was something of an experience report, providing the MEWT attendees with insights into Adam’s evolving family and residential requirements how the Rainstor test architecture has necessarily evolved in capability and complexity in parallel with product and business growth, hammering home the point that if our testing doesn’t evolve to meet the demands of the marketplace then the quality of the products on which we work will inevitably suffer. A fitting end to the day, his slides can be found here. This entry was posted in Uncategorized on September 15, 2014 by Simon Knight.